about me, me me!. I have been drawing since I could wield a crayon and graduated to fine graphic art and fine art photography. 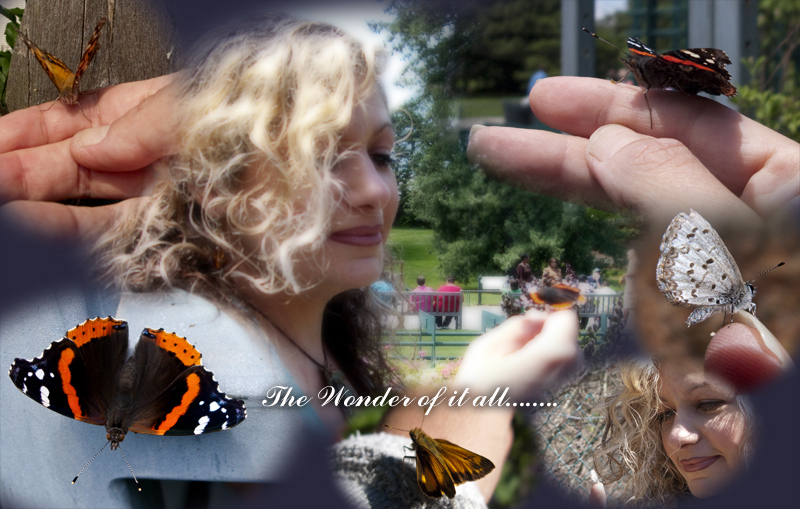 I have loved nature, fairies and wildlife since I was a little girl. During my childhood I discovered our natural world while searching for fairies. To this day one of my favorite times is dusk and dawn. The rich colors that claimed the landscape with magnificent beauty brings me inspiration and gratitude. In these moments I feel the magic of life. The birds awakening to greet the day. The bees and butterflies getting ready to dance across the flowers. Being given the ability to create wonder and magic though my heart and spirit is a gift. So many of the things I have learned from observing Nature and working with wildlife. It has added positive and beauty to my own life. This experience has given me a unique perspective and a deep appreciation for living things. My work is a positive testament to my life story, my authentic self and what I have to offer . I learned that there is a truth in nature that whispers to us if we but only hear and open our hearts and that the fairies dwell within the heartfelt places of our spirit. Even a stone, and more easily a flower or a bird, could show you the way back to God, to the Source, to yourself. When you look at it or hold it & let it be without imposing a word of mental label on it, a sense of awe, of wonder, arises within you. Its essence silently communicates itself to you and reflects your own essence back to you. "Having a background in photography and a knowledge of watercolor, oil, acrylic, pencils and ink, I am the original creator of this new style of art depicting the fairy and fantasy realm. One day inspiration came to me in the form of an idea. "What if I created fairy silhouettes with beautiful photograph backgrounds or the rich colors of abstract art or watercolor?" Much research was done regarding silhouette art to find out if anyone else had come up with this new concept and idea. No one had, it was then that I knew it was my calling and Blessing. To bring back the wonder in our natural world and art with fairies is what inspired this original idea. I wanted my style to highlight beautiful fairy and fantasy silhouettes set with a vibrant night skies and brightly lit sunset backgrounds. All of my work is hand drawn/painted and is true to nature. Some pieces incorporate my photography of breathtaking scenery and silhouette painting with abstract art or watercolor, conveying a feeling of joy, appreciation, gratitude, compassion, healing and love. My background and true experience with wildlife lends itself to my art. I have exhibited in Manhattan Arts International, Rhonda Schaller Studio in NY, Art For Progress NY and several occasions at Mill Pond House Gallery in Smithtown Long Island. My work has been licensed for storefronts, businesses logos, postcards for art gallery exhibitions. Many of artwroks and stories have been published in local newspapers, overseas magazines in the UK and I have exhibited at libraries to inspire children. Most of all, it is my love and passion to create uplifting bodies of work from my soul that reaches out to the world around me in a positive way. The path of healing by creating positive. Do You Believe in Fairies? Fairies are loving people of nature who care about the Earth and all living things. Many ages ago stories were told about people and nature coming together to live in harmony with the land. Where the fairies co-exhisted happliy with human kind. Fairies love the wild animals and work together with them. I feel this wonderful place in my heart and life. That still, to this day remains pure. Fairies are beings who need nature to live. They need trees, meadows, flowers, wild animals and clean clear water. In our lives today we hear about how our planets reserves are rapidly dwindling away, global warming, loss of habitat, pollution in waterways and on land. Animals that can not adapt to encroaching modern civilization....they lose their homes. Through the fairy art that I create, the fairies address these fundamental issues. The magic is to pass on caring for things that are important to our survival as a people and for children. The fairies that live at Faeriewood are in silhouette inspiring the imagination in the wonder of life and living things. In creating/working with them in my artwork, sitting down to a new palette I am open to hearing their positive message for nature and us, in conjunction with my own. May this love and light continue to shine out brightly. I love nature. It is within this place I see and feel the spiritual beauty of what is within each being. I believe fairies and the art I create come through the doorway of my heart and the "Source" within my soul. To me they are the real manifestation of the positive things that happen as a result of love and respect for the environment and the beings on this planet. They represent the beauty of the secret places that dwell within the human soul and are an expression of love and the experience of this wonder that I have found within nature and those around me. To me the fairies are the essence of the beauty of life in nature and the magic within the life force of all living things.